one year. one goal. one day at a time. This has to be the year that things change. I need to get serious about my goals. I’ve got to change my habits. If you haven’t been able to make the changes you really want, it’s not because you can’t, it is because you have given up on yourself too soon. So let’s wake the f*ck up because change doesn’t happen by chance, it happens by choice. One day at a time. Are you ready to wake up and be more? You know you are ready for a change but you haven’t been able to be consistent? There is no overnight success but 1% better one day at a time over 365 days will get you there. You just show up and I will guide you daily. It all starts with 10 minutes a day. Because, we only have this ONE DAY. If we can master ONE DAY, we can master ONE YEAR. And to truly wake up and take charge of our lives, we need ONE COMMUNITY to support, challenge, and inspire us. We only have ONE HEART and ONE MIND and ONE BODY. What we put in is what we get out and lets fuel ourselves with positive, loving, power. Your own strength is an untapped resource that lives in you. It’s time to wake up and exercise it. So, are you ready to achieve your one big goal In 2019? Forget the long lists and distractions; you only need to focus on one big goal this year in Sati365. So what’s the one goal that’s always remained out of reach? If I told you all it would take to create a seismic shift in your life, was 10 minutes a day, would you say “YES! YES!” ? The way you start your morning affects the trajectory of your entire day, so I’ve created one quick morning practice to change your world. All you have to do is wake up and press play. Do you find it difficult to keep promises to yourself? In Sati365, you will have a dedicated coach who will check in with you every. single. day. Your coaching group will be cheering you on, and you’ll have live chats with me every week. How’s that for support and accountability? Are you ready to wake up and become a doer? Meditation, visualization, goal setting and intenSati to begin every day with the fire in your heart and clarity in your mind to achieve everything you set out to do. It’s only 10 minutes long, and I’ll give you a new practice every single month. 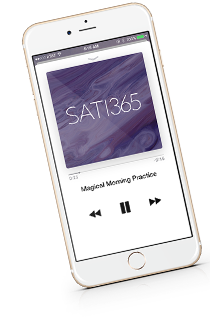 Your dedicated Sati365 coach that will check in with you every single day. Yes, you read that correctly. You’ll have your own coach, and your own accountability group, supporting you along the way, celebrating your wins and dusting you off after your falls. Every. Single. Day. 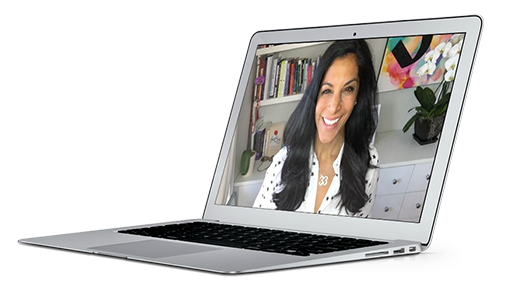 I’ll be with you live every Monday morning for a Wake Up Call to be sure you get up on the right side of the bed and to give you a new tool to help you succeed. We’ll also all meet again every month on Zoom to lay the groundwork for the following month, and make sure you’re on track. I finally let go of a toxic relationship, bought my first home, and my business took off. Before, I was prone to playing victim and ‘why me’, now I look at situations to see what I can learn from them, and do things differently. I am more confident, more positive, self assured, and focused. The changes i am making in my life should have occurred years ago, but it took my boost in self confidence and focus to make them happen finally. When I finally got serious and incorporated the daily practice, my income quadrupled and clients came pouring in from mystery places and en masse! This has literally helped me get off my medication for ADHD and anxiety. I am a testament to putting these teachings into practice. This stuff really works. If you dive in with full commitment, log in to do your daily practice and check in with your coach every day for 60 days are still unsatisfied with this program, email us at hello@patriciamoreno.com for your money back. She knew there was more to life, and made it her mission to find the answer and break that spell for everyone suffering the same as her. After adventures that took her around the world studying, meditating and practicing with gurus and scholars, Patricia created the intenSati Method and began to reshape the the lives of tens of thousands from the inside-out. This work is a ripple. My relationship with my husband has flourished. I’m kinder and lead more with love and truth than when I used to lead with fear, insecurity, and assumptions. Before Sati365, I was the last priority on my list. I gave to everyone else and had nothing left for myself. This has made me a better wife, a better mom, a better human being. After a decade struggling with an eating disorder, I can honestly say that I love my body exactly as it is and that only came through the work I have been doing in the practice. I am extremely happy with my life for the first time in a long time. I was always looking at my husband to save me but little did I know, I just needed to love myself.